In delivering best-in-class, personalized investment guidance for clients, we make extensive use of our in-house research capabilities supplemented by external research from top-tier investment firms across the globe. This enables our clients to benefit both from our proprietary research process as well as our access and ability to collaborate with third-party investment firms. We are not afraid to challenge conventional wisdom and perform research on areas of the market that are ignored or misunderstood by traditional investment firms.  While our research team has deep experience across all major asset classes, we strive to specialize in areas of the market that exhibit inefficiencies. This enables us to provide both a comprehensive and differentiated market view to our clients. While we are committed to developing our internal capabilities, we also want to ensure our team retains access to external research that adds value to our investment guidance. Frequently the markets and strategies we evaluate are not well-covered by publicly available research, and when it makes sense, we incorporate viewpoints from top-tier, sell-side research houses as well as asset managers that we find to provide deep, insightful analysis. This process allows us to objectively measure the accuracy of our internal research.